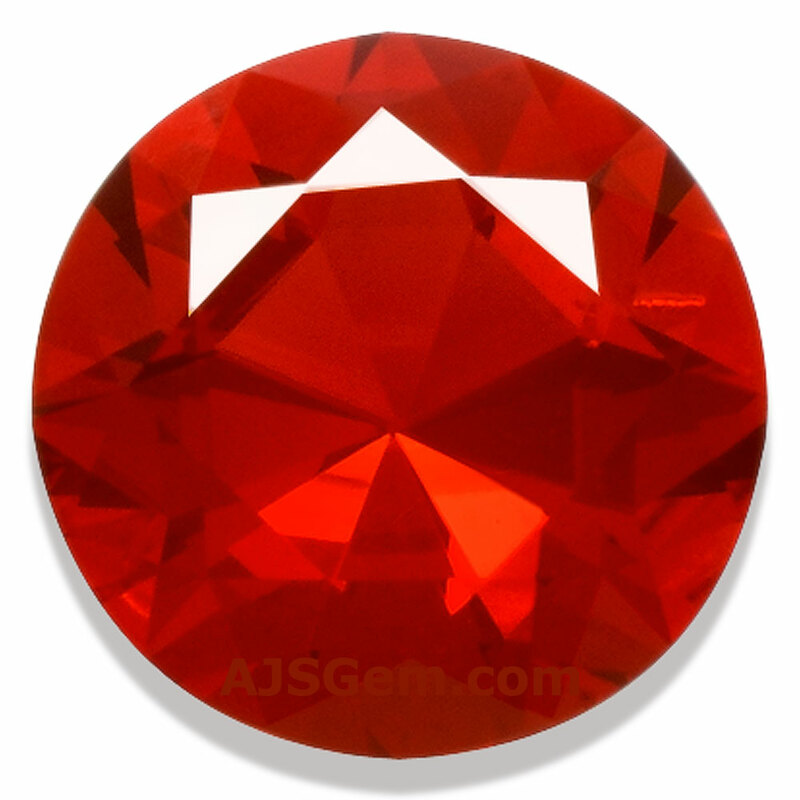 The most important factor in valuing colored gemstones is color. Other desirable properties, such as hardness and durability, can be overlooked if the color is outstanding. Opal is a case in point. All of the opals have some gemstone characteristics which are less than ideal. Opals are fairly soft at 5.5 to 6.5 on the Mohs hardness scale, so they can be easily scratched. They also have a tendency to dehyrate and crack in dry conditions, since they have significant water content. As a result they are quite sensitive to temperature changes and require special care. It is fair to say that opals are the most delicate gemstones commonly worn. But they are nevertheless very popular because of their unique color. Opals are most famous for their play of color, where an opal may display all the colors of the spectrum as it is turned in the light. But there are also other types of opal with unique color properties. There are several different opal varieties. The opal that exhibits the rare play of color is usually called precious opal to distinguish it from common opal, which tends to be a milky white without any play of color. Boulder opal is the name used to refer to veins of precious opal embedded in an ironstone matrix. Fire opal has no play of color, but is known for its vivid body color, which ranges from white to yellow to orange-red. Like other opals, fire opal is amorphous hydrated silicon dioxide by chemical composition. "Amorphous" indicates that opal has no crystalline structure; "hydrated" means that it contains water, typically from 3 to 10%. Opal is actually considered to be a kind of hardened jelly. 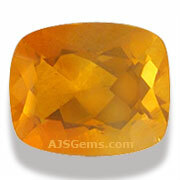 But fire opal has some unusual characteristics not shared by other opals. 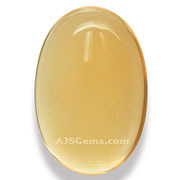 Opal is typically opaque and is cut en cabochon. Fire opal is the only kind of opal that can be transparent to translucent, and you will often find the higher-grade fire opal cut in facets. People seeing these gems for the first time are often surprised to find out that they are opals. The color range of fire opal can be can quite wide, and some pieces display multiple colors in a single stone. The brilliant sunny yellows are highly regarded, but it is the more saturated orange and orange-red which is especially valued. 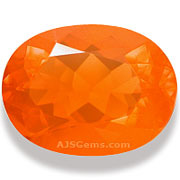 Indeed, among all the orange stones in the gemstone world, fire opal can display the most saturated orange. Fire opal is associated particularly with Mexico, and is mined in the Mexican states of Queretaro, Hidalgo, Guerrero, Michoacan, Julisio, Chihuahua and San Luis Potosi. The most important mines in Queretaro were discovered in 1835 and are still producing today. Small quantities of fire opal can also be found in Oregon in the USA and British Columbia in Canada. Since fire opal has a high water content, it should be protected from heat and prolonged exposure to strong light, which could dry it out. 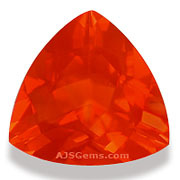 Lapidaries cure fire opal by drying it before cutting to reduce instability, so it is actually not that delicate. But due to its relative softness, it is best suited for pendants, earrings, not everyday rings.